Are you thinking about completing an MBA degree program in Spain? Then you are going to find this website very helpful. At EligeMBA, we have selected the best MBA degrees in Spain and provide you with a table the summarizes the most important factors to bear in mind when choosing the right program for you. We show you the most important information on each MBA program in a very simple way to help you make the right decisions as you begin this process. At eligemba.com we search and compare the tuition fees charged for full-time, in-person MBA degrees in Spain and those for the online MBA programs offered in Spain, as well. Do you know exactly what an MBA degree is? If you think the best option for you is to complete an MBA degree program in Madrid or Barcelona, but you are not yet sure which business school to choose, we recommended you take a look at our detailed listings of MBA tuition fees in Madrid and MBA tuition fees in Barcelona. Without a doubt, one of the most important factors to bear in mind when deciding where to do an MBA is the expense. Though this is public information available to anyone, finding the tuition fees charged to complete each MBA degree is not always an easy task and can take up a great deal of your time. We are here to save you that time. On our website, you can compare the tuition fees charged for MBA degrees in Spain by quickly looking through the clear and simple information we provide. Why get an MBA degree in Spain? Completing an MBA degree program can open up many doors to you in the labor market all over the world. In Spain, there is an excellent offering of business schools at a wide range of prices, including programs with classes given in person and online MBA degree programs given from Spanish business schools which offer distance learning. Furthermore, some of the world’s finest business schools are located in Spain. If you add to this the fact that Spain is one of the most important tourist destinations in the world, you can be sure that studying in Spain will be a very positive and unforgettable experience for any international students who wish to complete an MBA degree program there. 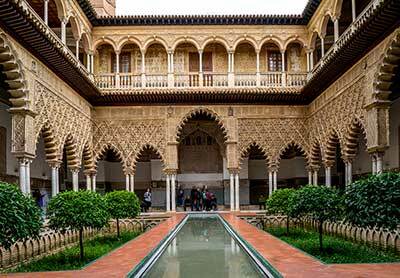 Spain is home to many different business schools and universities offering MBA programs, both public and private. The tuition fees charged by these MBA programs can vary a great deal. The least expensive start at about €4,000 and range up to the most expensive, at around €74,000. According to the rankings published by The Financial Times, Spain is home to four of the world’s best business schools: the IE Business School, ESADE Business School, IESE Business School and EADA Business School. The tuition fees for these Master’s degree programs range from €34,000 to €74,000. Business schools in Spain are aware that we have now entered the era of a globalized world. English has become the dominant language in the world of business. Because of this, it is no surprise to find out that the language of instruction in the MBA degree programs at Spain’s best business schools is English. If you want to know which, all you have to do is browse through our comparative tables with tuition fees and other information. Studying in Spain also provides a unique opportunity to learn Spanish, the second most commonly spoken language in the world after Mandarin Chinese. Many schools and universities offer Spanish language courses, which will undoubtedly help you grow more integrated into Spanish society and live the Spanish experience much more intensely. Our country falls within the fortunate group of countries to have the highest standards of living in the world. Of course, there are always aspects that can be improved upon, such as employment and the population’s average salary. However, the advantages make up for the disadvantages. Spain, like most European countries, is a very safe country. Its homicide rate is among the lowest in the entire world. When compared with other European countries, you will find it has one of the lowest crime rates in general, as well. Only Greece and Portugal have lower levels. Spaniards are fortunate to live long lives. Spain is among the world’s top countries in terms of life expectancy. Much of the merit for this is held by the National Health Care System, which guarantees health care for all Spaniards, and foreigners who meet a series of requirements (mainly working or residing in Spain legally). Medicines are not free of charge, but those prescribed by doctors in the Social Security system are dispensed with a very large discount off their price. We also have one of the best climates in the world. Very stable throughout most of the year, the temperature is very pleasant in almost all of Spain’s cities. It is no wonder, then, that Spain has become one of the top tourist destinations around the world. Although housing can be a bit expensive in the largest cities, food and drink are very inexpensive. The advantage is not just their price either: the quality of the meals and the produce used in cooking are amazing. Its gourmet cuisine may not be as famous as France’s, but there is no denying that Spanish food is just as delicious and highly varied. Transportation is inexpensive. The price of gasoline is the lowest in Europe. Plus, Spain has a very extensive and modern network of roads and railways. Public transportation is very plentiful, with many options everywhere in large cities. The system works very well. To sum it up, despite certain inconveniences, including housing prices and decreasing salaries in certain industries, Spain’s cost of living remains one of Western Europe’s lowest. Coupled with the fact that some of the world’s finest business schools are located here, it is an ideal destination for enrolling in an MBA program.